(formerly Muse Air) (MC/TST) (Dallas-Love Field) 1986 - 1987 (acquired by Southwest Airlines on June 25, 1985). Photos. Framable Color Prints and Posters. Digital Sharp Images. Aviation Gifts. Slide Shows. 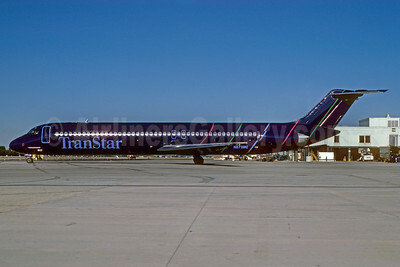 TranStar Airlines (1st) McDonnell Douglas DC-9-51 N673MC (msn 47726) MIA (Keith Armes). Image: 925023. 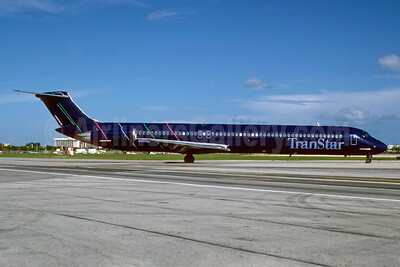 TranStar Airlines (1st) McDonnell Douglas DC-9-82 (MD-82) N931MC (msn 48057) MIA (Bruce Drum). Image: 103797.